Winslow Elegance Apartment Hotel consisting of two buildings and a outdoor playground for children, a barbecue and a garden. It has elegant and roomy apartments decorated with paintings and equipped with premium-grade furniture. 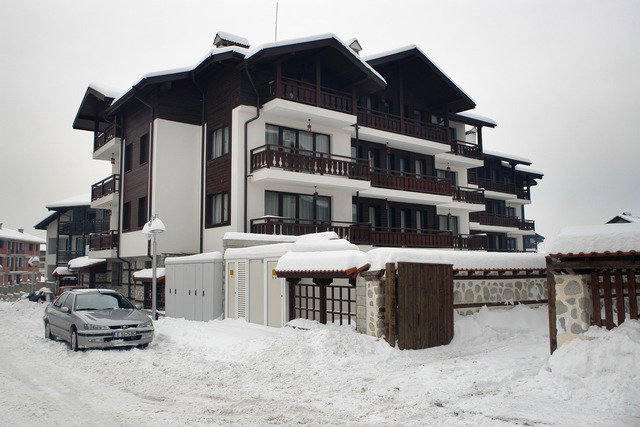 It is located 700 meters away from the gondola lift station in a quite neighborhood far away from the noise of the town. All apartments at Winslow Elegance Apartment Hotel are fully equipped with a contemporary style kitchenette, a refrigerator as well as a dining area. Price includes free use of: Wi-Fi internet in the hotel, Indoor swimming pool, Finnish sauna, Steam bath. The price includes: free use of sauna, steam bath, shuttle to lift during winter.